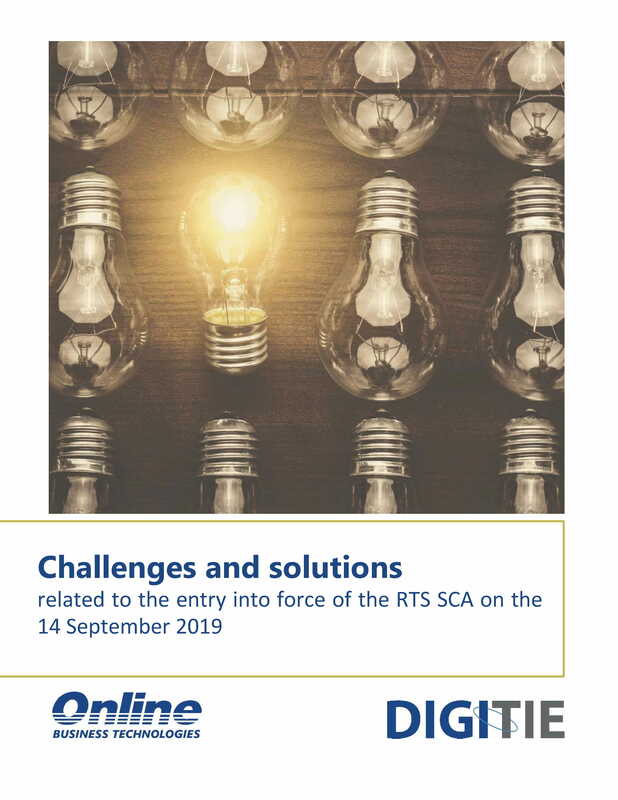 Resources - Online Business Technologies Co.
PSD2 is a great entry trigger for banks to the world of Open Banking. 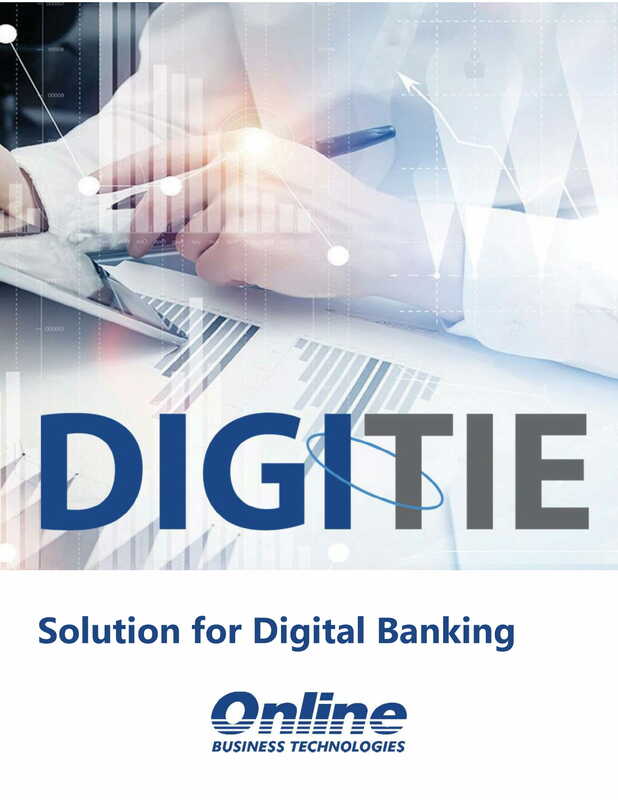 With DigiTie it is a seamless transition to compliance and beyond. 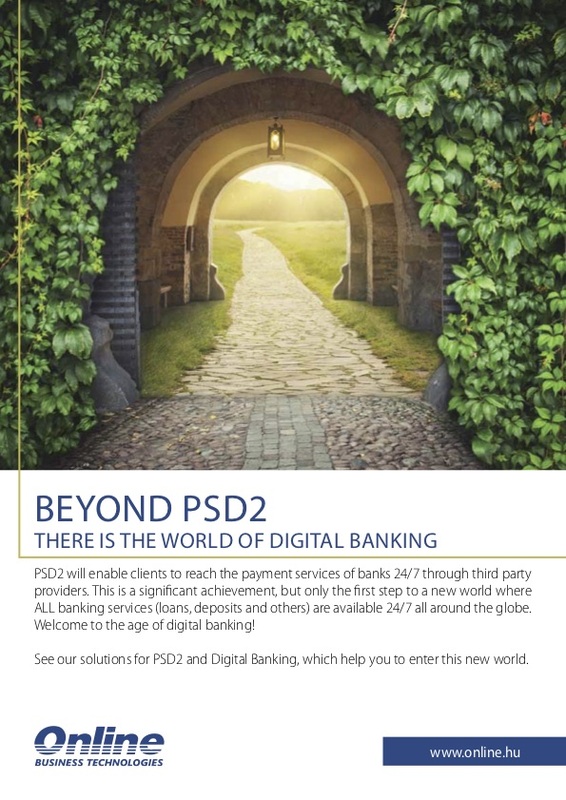 DigiTie PSD2 enables opening up any API to the outside world to create new contact points with the customers and provide more comprehensive services. Ranging from information provision to complex sales process the options are limited only by the mind. BACEE and the Albanian Association of Banks, the Association of Montenegrin Banks and the Bank Association of Bosnia and Herzegovina helped us to organize three workshops in the SEE Region. 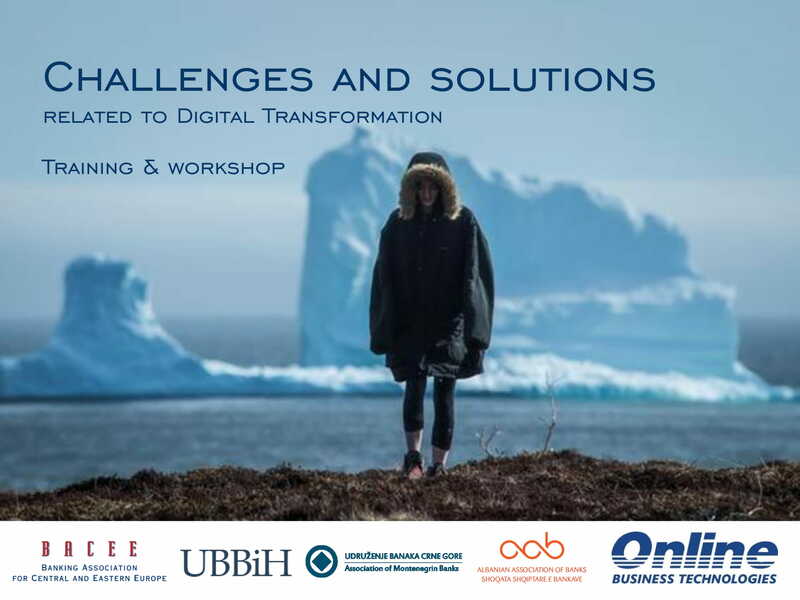 The aim of the workshops was to show business & technology trends behind digital transformation, give an overview of PSD2 and the FinTech Action Plan to show how regulatory authorities are supporting financial innovations, and give insights into the IT solutions supporting digital transformation and digital disruption. This presentation has been prepared for these workshops. 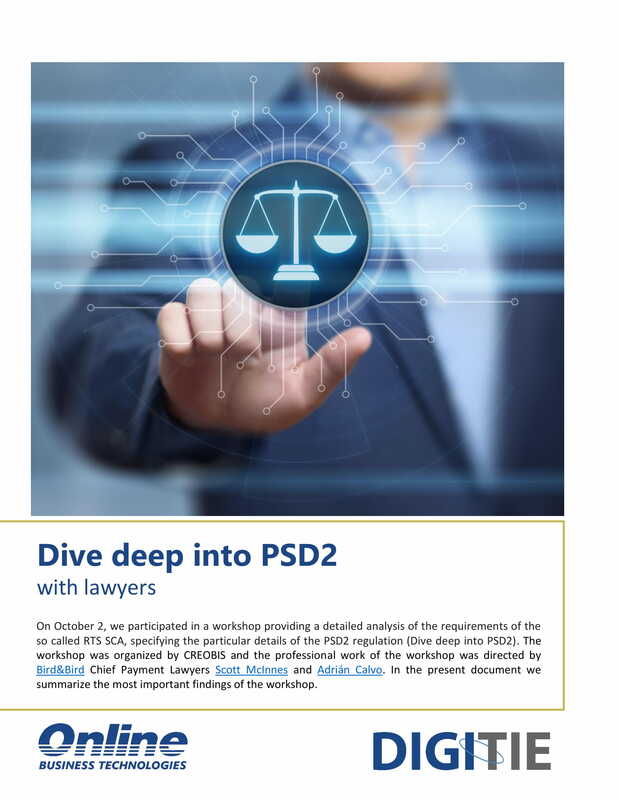 On October 2, our colleague Mr. István Agócs participated in a workshop providing a detailed analysis of the requirements of the so called RTS SCA, specifying the particular details of the PSD2 regulation (Dive deep into PSD2).The workshop was organized by CREOBIS and the professional work of the workshop was directed by Bird & Bird's partner Mr. Scott McInnes and senior lawyer Mr. Adrián Calvo Pelayo. In the present document we summarize the most important findings of the workshop. 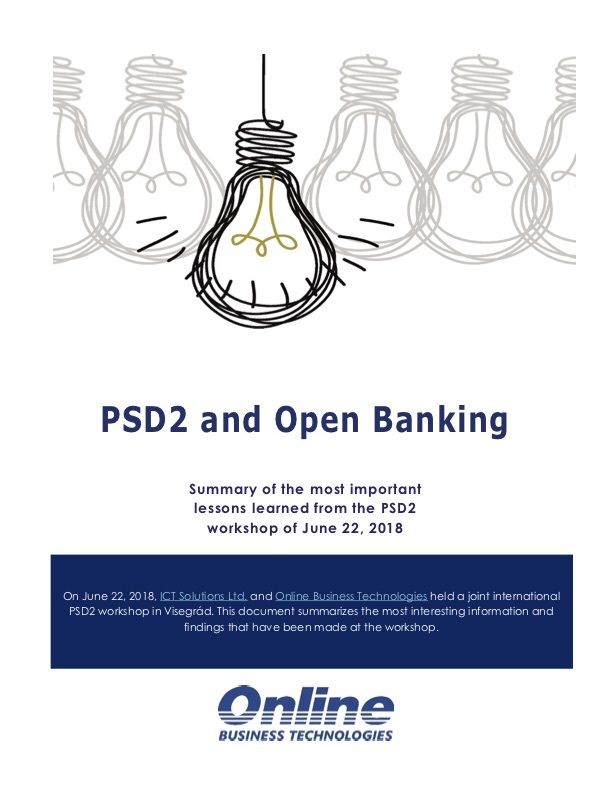 On June 22, 2018, ICT Solutions Ltd. and Online Business Technologies held a joint international PSD2 workshop in Visegrád. This document summarizes the most interesting information and findings that have been made at the workshop. 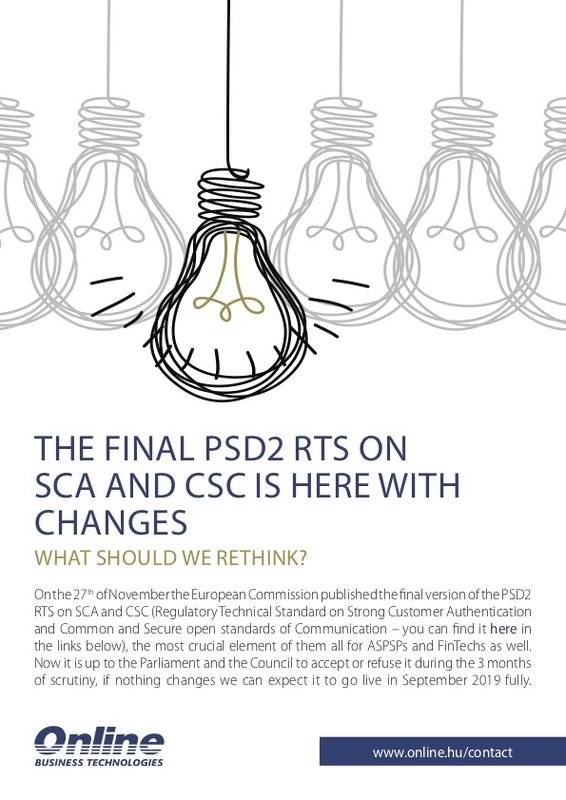 On the 27th of November the European Commission published the final version of the PSD2 RTS on SCA and CSC (Regulatory Technical Standard on Strong Customer Authentication and Common and Secure open standards of Communication – you can find it here in the links below), the most crucial element of them all for ASPSPs and FinTechs as well.